Are you tired of all the negative thinking and talking? Wish you could have positive thoughts flowing through your mind? This article by Jack Canfield should be helpful. Researchers estimate that we think about 50,000 to 70,000 thoughts a day – and that about 80% of those thoughts are negative. That is a crazy amount of negative self-talk! We spend so much time telling ourselves that we’re not good enough, smart enough, talented enough, or thin enough. We tell ourselves that we don’t deserve the things we want. 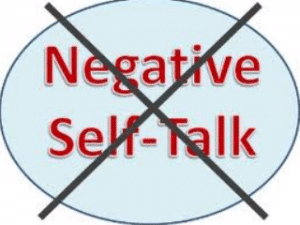 Our negative self-talk affects us in a very powerful way. If we think something is possible, we’re more likely to make the effort to achieve it. If we think it’s impossible, we won’t even bother trying. If we think we are a good person who deserves to live a life we love, we will create that life. But, if we think we are undeserving or not capable enough, we will sabotage our own efforts without even realizing it. Studies show that your thoughts also have a physical impact on your body. Take polygraph tests (commonly referred to as lie detector tests), for example. They demonstrate how your thoughts directly influence your blood pressure, muscle tension, temperature, breathing rate, heart rate, even how much your hands sweat. Those are some pretty significant physical reactions to our thoughts!